It’s a damn fine question, too. Those two words are the seed of novels, of innovation, of art. Of risk. They’re raw material, and bravery. The stuff of making a plan or making a run for it. About a year ago, my sister and best friend talked me into starting this blog. I was a tough sell, and I asked, over and over, “But why? What will I write about?” Their insistence that I would love having a blog finally convinced me to start. Why? turned into What if? I realized a couple of days ago that I had missed my blogiversary, which fell on January 18. Over the last year, this place became something more than I had imagined it could be. More than just a place to tell the funny things my kids do to make me laugh, more than just a virtual desk with lined paper and a cup full of pencils. I found a community, friends, support, an outlet for stories that I’d never had the courage to tell pubicly before. More times than I can count, I’ve felt all of you put a hand under each elbow to hold me up. And you’ve let me in on your stories, too. I came to need your stories, the chorus of me too, to make sense of things I couldn’t always find the words for on my own. You made room for me to stretch out and get comfortable. I learned that there’s room for everyone in this crowd, and somehow it’s possible for each of our voices – distinct and true and important – to be heard above the collective sound of all of us. 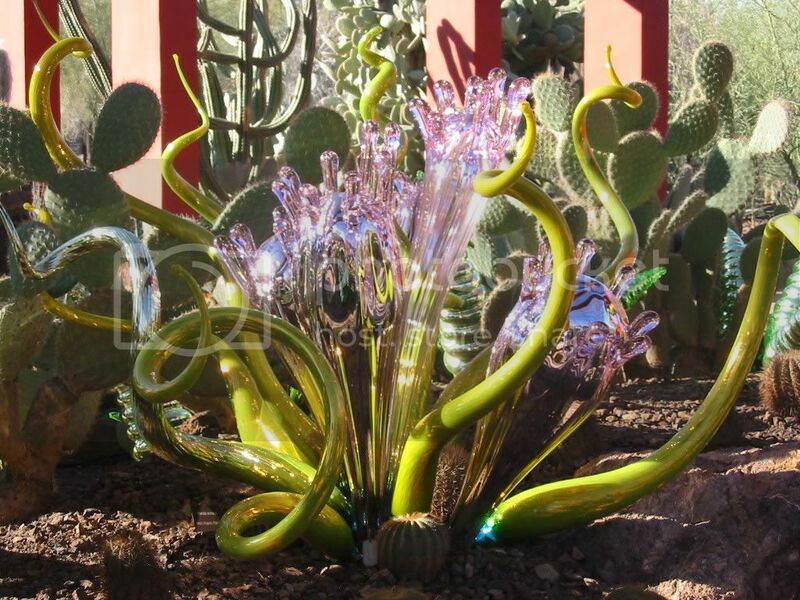 We spent last Friday morning at the Desert Botanical Garden in Phoenix, wandering through the Chihuly glass sculpture exhibit. There’s not a word for how extraordinary his work is. And I have to think it all started when he asked “What if?” and then got to work. Like I said, it’s a damn fine question. With some beautiful answers. Also, I set up an album with more photos here. WOW! Those are gorgeous pictures–what colors! I adore the blogosphere for all the same reasons. Well said. And I’m glad I’ve gotten to mean you (online). What a breathtaking sight; I’m jealous. I’m all for the what ifs and the seeing it through. So glad you are here. Oh! 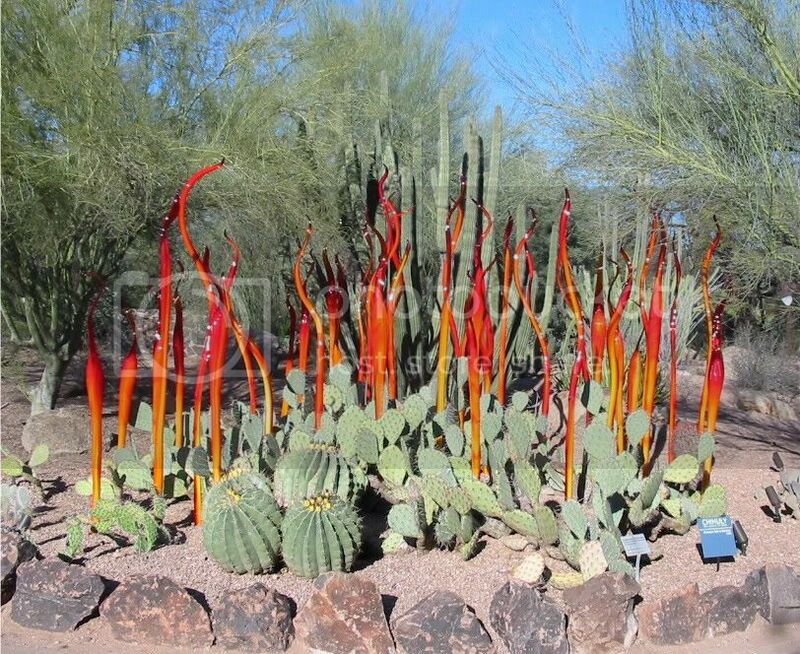 Chihuly outdoors! How perfect!! I’m so glad you created this space here! What a memorable post, Jennifer …. and some great imagery too. I cannot believe you’ve only been blogging a year. You’re such a pro and have an incredible gift. Love the glass too! Gorgeous. 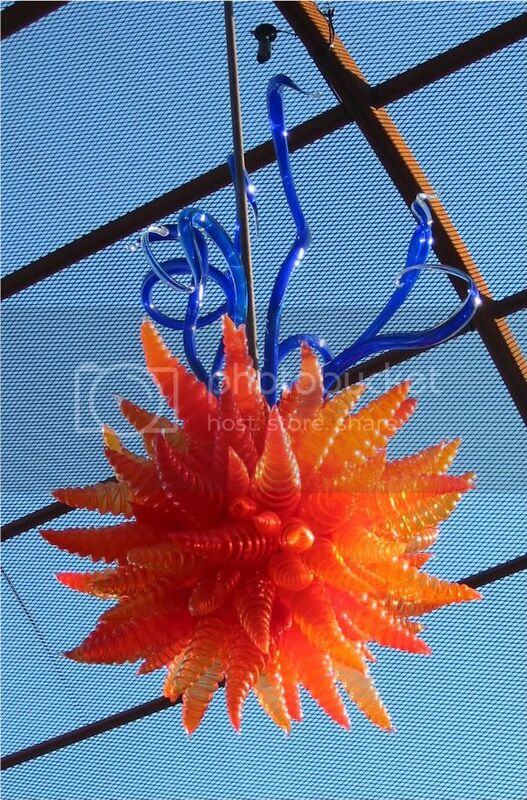 I missed Chihuly in Atlanta and am so mad at myself to this day. I am living through your pictures. Happy happy blogiversary (did I spell that right?)!!!! I look forward to reading more. i am so freaking jealous that you two are getting together. Thank goodness they convinced you. Congratulations on your one-year blogversary! Your blog work is incredible and real – very satisfying reading, plus the pictures! 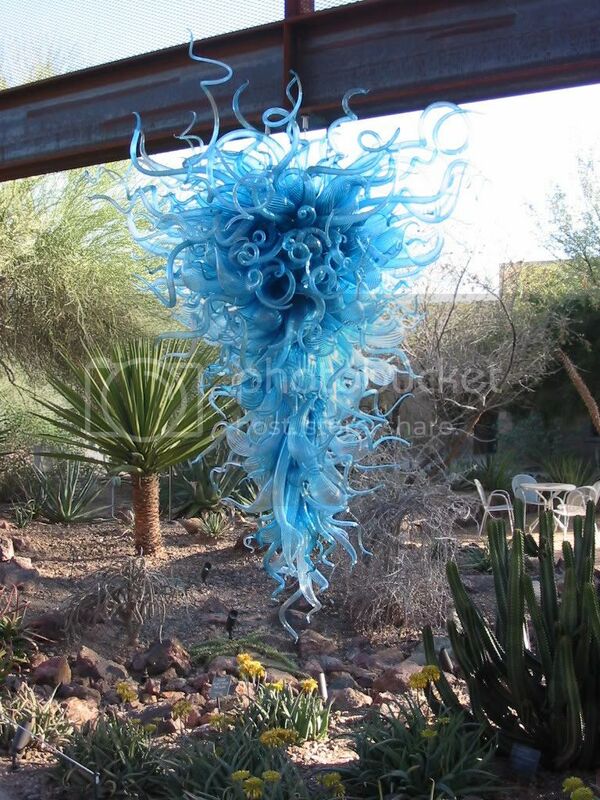 I can’t tell you THANK YOU enough for posting the pictures of Chihuly’s work! I could get lost in each piece. You truly do have a talent for writing. I am waiting for your novel, honestly I am not just saying that. And congrats on that blogiversary! 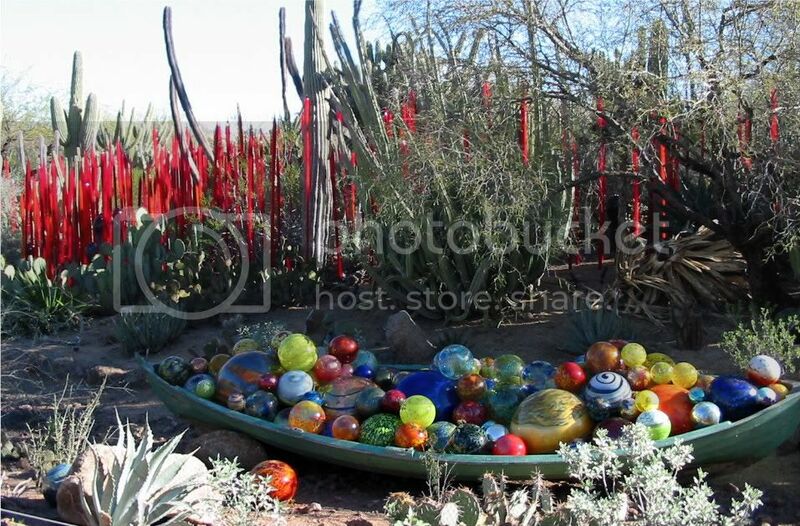 I’ve been meaning to get out to see Chihuly, thanks for the reminder and sneak peak. No one but other bloggers understand me when I say it is the best thing I have ever done. Happy Anniversary kid! Happy Belated Blogaversary and many more! I saw Chihuly’s work here in Pittsburgh, but it was mostly indoors. It would be even more beautiful outdoors. Happy Blogoversary, and I just have to ask, how can anyone look that good in glasses?! Totally jealous. Happy belated anniversary! Mine was back in October – doesn’t seem like a year has passed while doing this, does it? I love that exhibit you went and saw! I told Flutter that I thought, at first, they were exotic desert plants. I know, I’m a little off…! Oh, that is amazingly beautiful. Happy Blogoversary–I cannot believe you’ve only been at this a year. You’re writing is so often an inspiration–I’m glad you jumped in. I’m so glad we came across each other in this wacky, delightful virtual life. Happy Blogoversary, and I’m so envious that you and Flutter got together. In a nice way, of course. 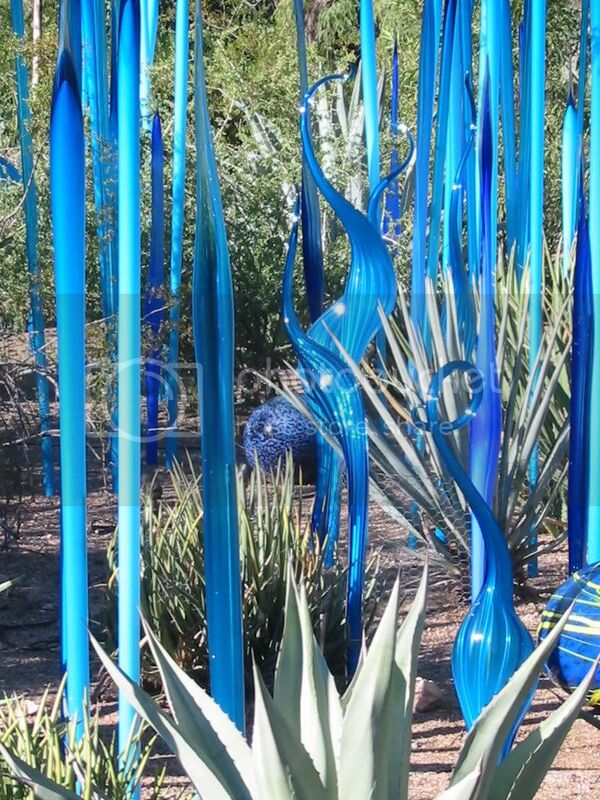 great potd….I love glass…and would like to visit these gardens. I have found you through David’s POTD, http://david-mcmahon.blogspot.com/ for which many congratulations. That question ‘What if’ is certainly stirring up we bloggers this week. Your co-winner wrote a stunning piece and my less than valient effort, Serendipity. Those pictures are truly stunning of those amazing glass objects. So beautiful. And Happy Anniversary. January just flew by. I knew I started reading blogs in January, and knew it has been “about a year,” but I still think it IS January! The blogosphere is better because you are in it. Really. A lot better. Happy blogoversary! And congrats on being David’s post of the day…an honor I am proud to share with you today…My four year anniversary is coming up..and I echo SO many of your thoughts. Now, this post today, is a perfect example of the “What if” because IF you had never taken that step, I would never have had the opportunity to view the beautiful pictures you posted here. (Or, for that matter, would never have read some of your thoughts posted here from time to time before -all which were organized, well planned, beautifully written too and have always given me something of interest to take away for myself too. Thanks for all of that and congratulations on your blog’s anniversary. Hope you have many more of those to come too! Happy Blogoversary (belated) and congrats on Post of the Day…and yes, I don’t know how I’d manage if not for my blog…it keeps me sane. I can’t imagine not having your beautiful voice to read weekly. I am so glad you started a blog! Happy Blogoversary! That sculpture garden is just amazingly beautiful. Awesome pics. I would love to visit. I am so glad you have such positive peer pressure…I am glad you started blogging too. Happy blogoversary.